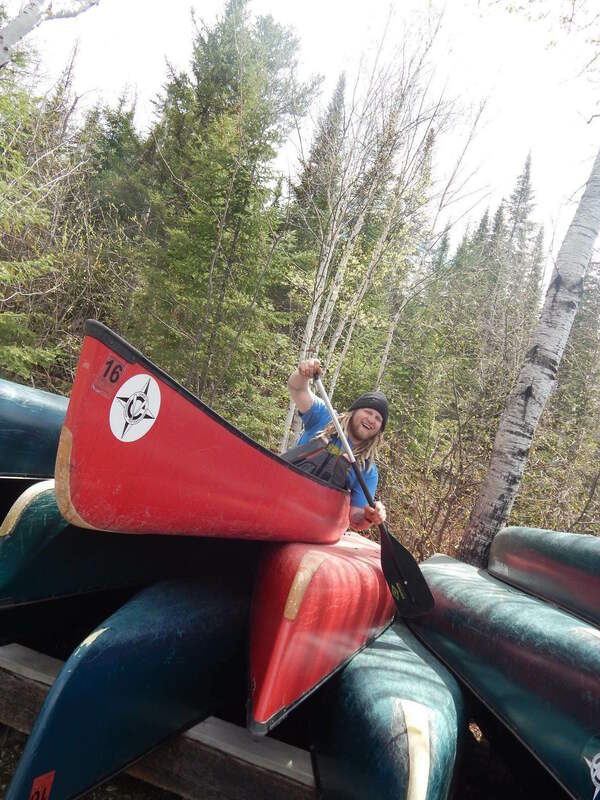 Matt is back at Voyageur Canoe Outfitters after taking a break to check out the real world. It’s his third summer with us and he spent all of last fall and winter at Voyageur. Matt is from Owatonna, Minnesota and attended Lake Superior Community College in Duluth for Automotive Technology. He likes the peacefulness of the BWCA and spending time outdoors no matter what the season. When working at Voyageur he likes to make folks smile and hear about their trips. Matt is the go-to guy at Voyageur. If I had to count how many times a day I hear, “Matt, do you copy?” on the radio I know it would be up into the triple digits. He knows something about everything and a lot about many things. With Mike spending more time in town or on canoe trips this summer Matt has had the opportunity to acquire even more skills. Whether it’s water pumps, electrical issues, monitoring water quality or an array of other challenges he’s facing he does it with a smile on his face and Google. You Tube videos and online tutorials are very helpful. He’s great with guests and shares his love and enthusiasm for the area with them. When Matt isn’t working he likes to spend time canoeing or fishing. His favorite BWCA lake is Lake of the Clouds and his current favorite route is the Granite River. He wants to visit Kawnipi and is looking forward to his trip into the Quetico Park later this summer. He deserves a vacation because if he’s at Voyageur it’s assumed he is working. Just because it’s his day off doesn’t mean people won’t ask him for something. So getting away into the wilderness is the perfect place for Matt to recharge. We’re lucky to have him back at Voyageur and hope he sticks around for a long time.